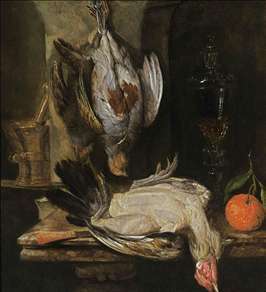 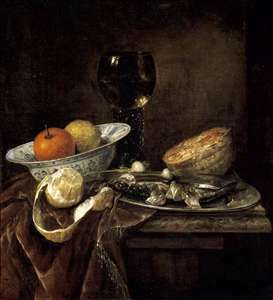 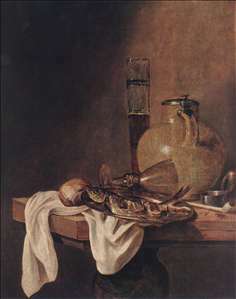 Dutch painter (also spelled Beijeren or Beieren), little regarded in his day but now considered one of the greatest of still-life painters. 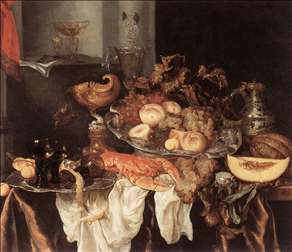 He initially specialized in fish subjects, but around the middle of the 17th century he began to devote himself to sumptuous banquet tables laden with silver and gold vessels, Venetian glassware, fine fruit, and expensive table coverings of damask, satin, and velvet. 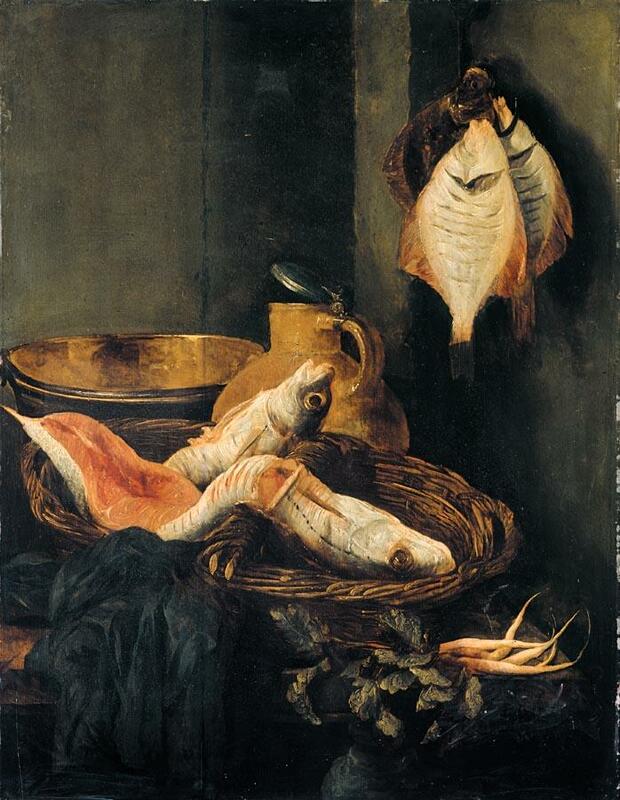 Works of this kind, in which he was rivaled only by Kalf, gave him even greater opportunity than his fish pieces to demonstrate his ability to show the play of light on varied surfaces and organize forms and colours into an opulently blended composition. 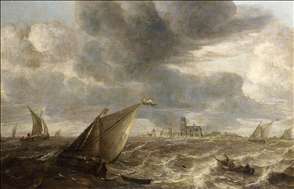 He worked in various towns before settling in Overschie in 1678. 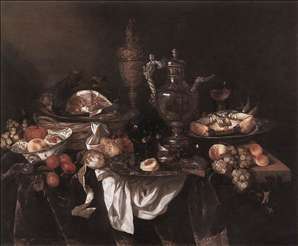 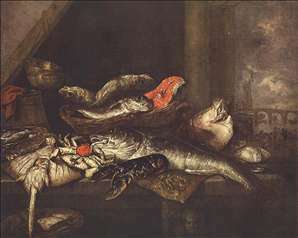 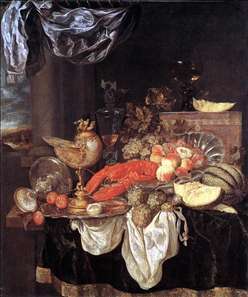 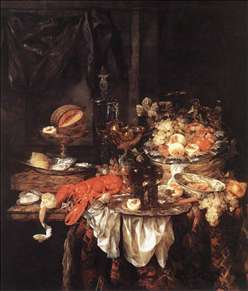 See more details about "Banquet Still-Life"
See more details about "The Breakfast"
See more details about "Large Still-life with Lobster"
See more details about "Still-Life with Fish in Basket"
See more details about "Still-life with Fishes"
See more details about "Banquet Still-Life with a Mouse"